UPDATE: But not open today (Sunday) and likely not tomorrow (Monday). Get your slice on Tuesday. Only eleven days after their advertised re-opening, which could be a record, no? I wonder if the workers get paid while they are closed? It’s their business they can open and close as they see fit. It is indeed. But the point of a storefront business is to sell things, which involves a measure of responsibility to its customers. Saying you’ll be reopen on a certain date and then delaying that opening by more than ten days without explanation–not good practice. Thank the lord! Can’t wait to be back in town tomorrow night! 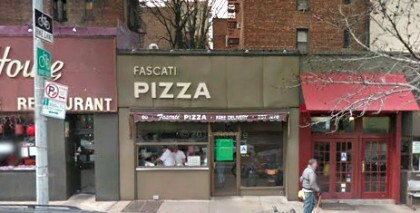 Sadly, I can no longer enjoy my beloved Fascati, due to gluten intolerance. I hope all who can make the most of it.